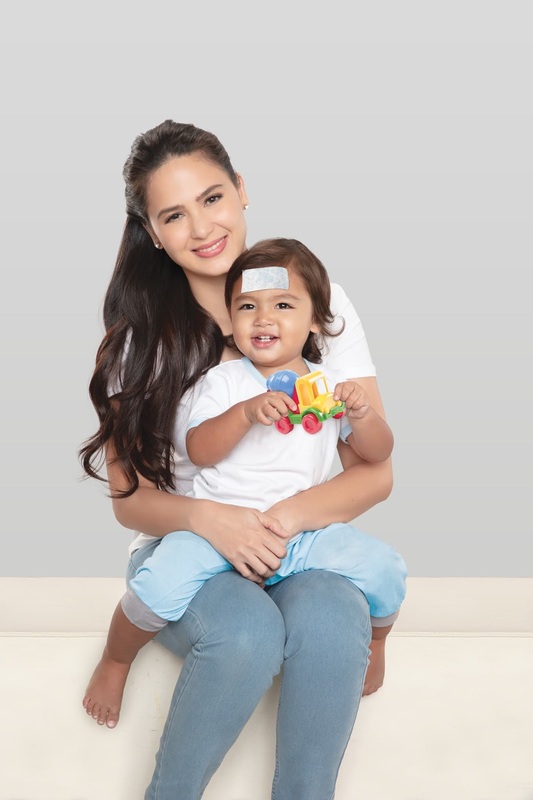 Kristine Hermosa and son Vin are the newest ambassadors of KOOLFEVER’s best-selling fever relief pads. Following the launch of their commercial, the actress graced an exclusive event and talked about the challenges of caring for children when they are unwell. Speaking from personal experience, the young mom relayed how KOOLFEVER’s gentle cooling gel sheets help alleviate her worries by providing her kids, especially one-year-old Vin, with quick and effective relief from fevers. Each KOOLFEVER pad has a soft, bouncy gel made of 80% moisture that absorbs and disperses heat from the body. It’s formulated to sustain the cooling effect for up to four hours, and its texture ensures it stays in place even if your baby moves around while he sleeps. It is an effective alternative to a sponge bath, which helps provide relief from fever discomfort. Moreover, the gel has no coloring or fragrance, so it’s guaranteed to be gentle on your baby’s sensitive skin. Kobayashi Pharmaceuticals Executive Officer Managing Director, and Head of Internal Business Division Kazuhito Miyanishi spoke about the beginnings of and science behind KOOLFEVER's comforting gel pads. Mommy Mundo founder Janice Crisostomo Villanueva, shared insightful advice on caring for babies when they are sick at home. Mom influencers, Danica Sotto Pingris (center) and Joy Woolbright Sotto (right) also dropped by the event to show their support for sister-in-law, Kristine. Division Eriko Kamei, Branch Manager for the Philippines Hiroshi Torihara, Executive Officer Managing Director and Head of Internal Business Division Kazuhito Miyanishi, Marketing Group Manager and R&D Department of International Business Division Taku Sakaki, and General Manager for Asia Regional HQ Takeo Funaki. Made by Kobayashi Pharmaceutical in Japan, KOOLFEVER comes in four (4) variants: KOOLFEVER Baby, for infants up to 2 years old; KOOLFEVER Child, for those between two and 12 years old; KOOLFEVER Adult, and KOOLFEVER EXTRACOOL for adults. All variants are available in leading supermarkets and Mercury Drugstore outlets nationwide.